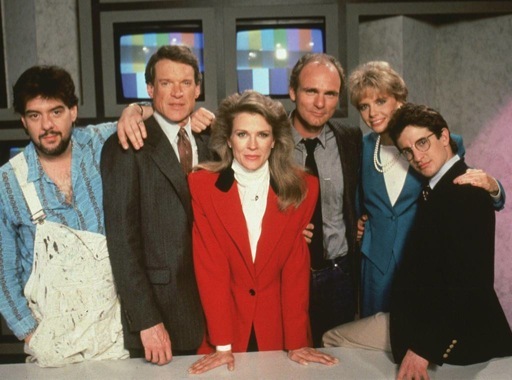 Resurrecting onetime hit TV series -- either with the old cast or a brand new one -- may have gone from a fever pitch to a fanatical one with CBS’ announcement that Murphy Brown is coming back. So is Candice Bergen, who played the title character for Murphy’s entire run (1988-’98) and won five Emmy awards for her acting. Bergen, now 71, then declined future nominations in order to give someone else a chance to win. Slated to return for 13 episodes sometime during the 2018-’19 TV season, Murphy will find itself in a “new world of cable news, social media, fake news and a very different political and cultural climate,” CBS noted in a publicity release. Murphy eventually wrote his remarks into an episode and Quayle was widely mocked and criticized, most visibly during the 1992 Emmy Awards ceremony in which Bergen won her third trophy and the show its second. The show’s creator, Diane English, led the charge that night and will return as the show runner of CBS’ new version. Other than Bergen, no other cast members were announced by CBS. Two members of the show’s charter ensemble, Robert Pastorelli and Pat Corley, are deceased while other such as Faith Ford, Grant Shaud and Joe Regalbuto have had little visibility in the past decade or so. It’s possible that none of them will be asked to return. Lily Tomlin, who became a regular in Murphy’s last two seasons, is currently co-starring with Jane Fonda in Netflix’s Grace and Frankie comedy series. But if asked, she presumably could find time to at least occasionally reprise her character of Kay Carter-Shepley, who replaced Shaud’s Miles Silverberg as FYI’s producer. Reprises have been all the rage in recent years. The current landscape includes do-overs of Will & Grace, S.W.A.T., The X-Files, Dynasty, Full House, One Day At A Time, Hawaii Five-0, Macgyver, Fear Factor and a raft of ABC game shows. Roseanne and American Idol will be coming to ABC after NBC concludes its telecasts of the Winter Olympics. And the Peacock network is developing new versions of The Munsters, Miami Vice and The Office after earlier false-starting a Coach do-over that would have put Craig T. Nelson back in play. Given how things are going, that may only be the half of it. 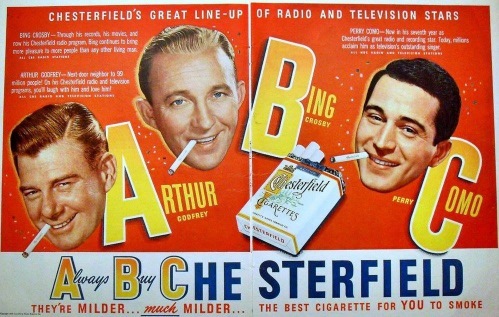 A reader sent along the below graphic of a vivid and now very dated cigarette ad. The three stars are all long gone, with Arthur Godfrey dying of eventual ramifications from lung cancer treatments. After being diagnosed, he became an anti-smoking spokesman.